If a storm causes destruction in your home, call the water damage Tallapoosa and mold removal Tallapoosa experts with 911 Restoration West Georgia. We don’t take days off. You can rest assured that our team will be there for you when you need, whether it is in the middle of the night or early in the morning. The longer you wait, the more damages you will accrue. You don’t have to worry about waiting too long for assistance since we guarantee a 45 minute arrival time. At the first sign of a water leak or if you suspect you have mold, call the water damage Tallapoosa and mold removal Tallapoosa experts for solutions. When our water damage Tallapoosa and mold removal Tallapoosa arrive at your property, the first thing we do is assess the situation. By conducting a visual inspection we can determine what caused the damage in the first place and provide each homeowner with a detailed repair estimate. We want our customers to feel confident and trust their home in our hands. 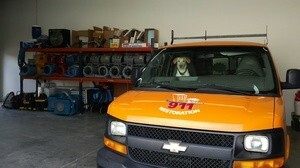 So we make sure to communicate every step of the restoration so they have peace of mind. 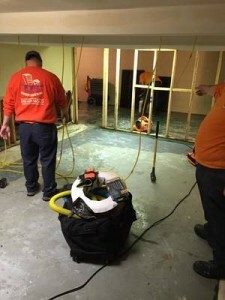 Our water damage Tallapoosa and mold removal Tallapoosa experts utilize their skills, experience, and state of the art equipment to get the job done precisely and thoroughly. With the help of powerful water extraction machines and advanced drying methods, we will get the job done so that you and your family are safe and comfortable in your home. We also turn to technology to help us pinpoint moisture in those hidden spots such as wall cavities and in ceilings. Our water damage Tallapoosa and mold removal Tallapoosa experts are here to make things right for you again, so if you discover a pipe leak in your home, call the experts with 911 Restoration West Georgia. No homeowner is thrilled about repairs in their home, due to the hassle and repair bill. However, we encourage you to act fast to save money, since it takes no more than 48 hours for a pool of excess water to become contaminated with mold and bacteria. Our experienced project managers will help our customers get through the repair and insurance process. From scheduling your same day service appointment to filing your claim for you, we will make sure all of your concerns are addressed. Don’t prolong your repairs and call the water damage Tallapoosa and mold removal Tallapoosa experts with 911 Restoration West Georgia for your Fresh Start!